Limit 1 per person. Valid on 2-month basic membership. 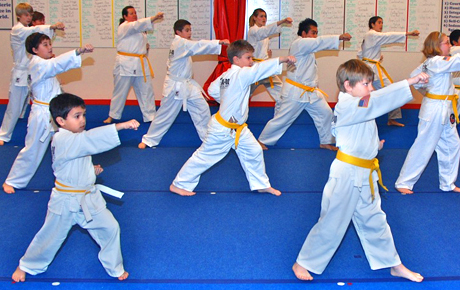 Program includes unlimited training sessions, beginner to yellow stripe classes, uniform, registration fee, handbook, test fee and tuition. Facility is open 5 days a week. By appointment only; must mention voucher when scheduling. Kick your bad habits and whip yourself into shape with this deal for 63% off a basic membership at AKF Flying Dragons in Elkhorn ($415 value). This 2-month program includes unlimited classes, a uniform and a handbook as well as your registration, test fees and tuition. In business for 17 years, this family-owned martial arts school teaches tenets of Kyuki-Do such as courtesy, humility, integrity, perseverance, self-control and indomitable spirit. Owners Bob and Audrey Perk run an award-winning martial arts program that was recognized in 2004 as the American Kyuki-Do Federation’s School of the Year. Get martial arts training and a new spring in your step with this deal.